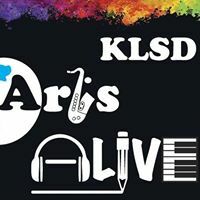 JJHS Senior Teen of the Month: Sona Minasian – KLSD Arts Alive! CROSS RIVER, N.Y. – For John Jay High School senior Sona Minasian, music isn’t just an interest but a passion that guides her life both academically and personally. Born and raised in Katonah, Minasian attended Katonah Elementary School and John Jay Middle School. Growing up, Minasian doesn’t remember a time when music wasn’t an important part of her life and family. Her early aptitude for music is a well-known family trait, one that she inherited from her grandfather, uncle, aunt, and her mother. At home, it would be the influence of her mother, a vocalist, that encouraged Minasian’s music exploration. With the strong presence of music during her formative years, Minasian started playing the piano at an early age. When she got to elementary school, she began playing the violin. However, it would be her move to John Jay High School where her future in music would really start to blossom. In her early years at John Jay, Minasian was struck by the fact that she could explore music in a way that was never available to her ever before. It was at John Jay that she discovered a “whole other world” where she was “allowed to travel her path of musical creativity.” She credits the support, guidance, and instruction that John Jay music teacher, Steven Morse provides that allows this to happen for her and other students. For Minasian, life at John Jay includes participating in four ensembles: symphonic, string, vocal jazz, and chorale. In the symphonic orchestra, she plays the violin as the principal violinist. In the string ensemble she plays the cello, an instrument she just started learning. As for her work in vocal jazz, this year she serves as the student assistant director. Her participation in vocal jazz is one of her favorite things about her John Jay experience, including when the group competes at the Berklee High School Jazz Festival in Boston every year. Minasian’s John Jay musical activities also include playing the piano for all the school’s musicals. This commitment to the school’s musicals requires a significant amount of time as she has to be at every rehearsal even when the rest of the pit orchestra isn’t. Minasian estimates her weekly commitment during the production of a musical can be as much as 20 hours a week. Beyond the countless hours spent in rehearsals, Minasian’s John Jay music experience also entails contributing to the supportive community that exists within the music program. “Everyone gets to do this together,” she said. She feels that this strong sense of community allowed her to overcome her freshman anxiety and feelings of self-consciousness. Minasian believes that the support and encouragement of the music program gave her the freedom to grow as a musician. Part of Minasian’s mission to grow as a musician also includes her performance experience separate from John Jay as a member of the Greater Westchester Youth Orchestras Association, founded in 1953 and led by conductor Vincent Lionti. Minasian just had her first rehearsal of the year recently. As part of this group, Minasian performs at the David Geffen Hall at Lincoln Center. In addition to her instrumental commitments and vocal jazz, she also participates in Chorale, a student vocal group. Minasian not only sings in Chorale but also serves as a teaching assistant for the vocal ensemble. For Minasian, the group “brings her much joy since it requires teamwork to create something beautiful.” Also, she feels that within Chorale, there is a spirit of inclusion which allows the ensemble members to learn and grow together. When Minasian isn’t playing an instrument or singing, she can be found dancing as a member of the John Jay dance team. As part of the dance team, she performs at the school’s football games, homecoming, and pep rallies. Minasian has been a member of the dance team since freshmen year and is now vice-captain. While Minasian loves music, she has a desire to educate others as well. This passion for teaching started when she was twelve working as a mother’s helper. During her time with the children, she would teach them how to play the piano. It is these lessons that showed her that she loved teaching, especially teaching music. This year, to further her teaching experience, Minasian is serving as a teaching assistant supporting Morse. In this role, she helps with various tasks including conducting warm-ups. When asked about Minasian’s time at John Jay, Morse speaks highly of his hardworking and talented student. Outside the walls of John Jay, Minasian dedicates her time to giving back to her community volunteering at both Caramoor and the Katonah Art Center. At Caramoor, Minasian works behind the scenes, serving as an audience services representative. In this position, she assists in the box office and also does some front of house work during performances. She says that working at Caramoor has been an incredible experience that has exposed her to many different types of music and showed her how all the elements come together to bring a concert to life. At the Katonah Art Center, Minasian supports the center’s programs for pre-school age students by assisting with curriculum preparation. 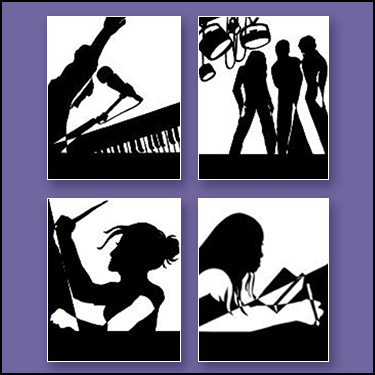 In this role, Minasian recommends different composers and music to share with the classes. Looking toward college, Minasian is interested in both the Ithaca College School of Music and SUNY Potsdam, Crane School of Music. While she won’t know which one she will be attending until later this year, Minasian knows one thing for certain; she will be majoring in music education. Minasian resides in Katonah with her parents, Amy and Philip Minasian. Amy is a speech pathologist, and Philip is a software executive.